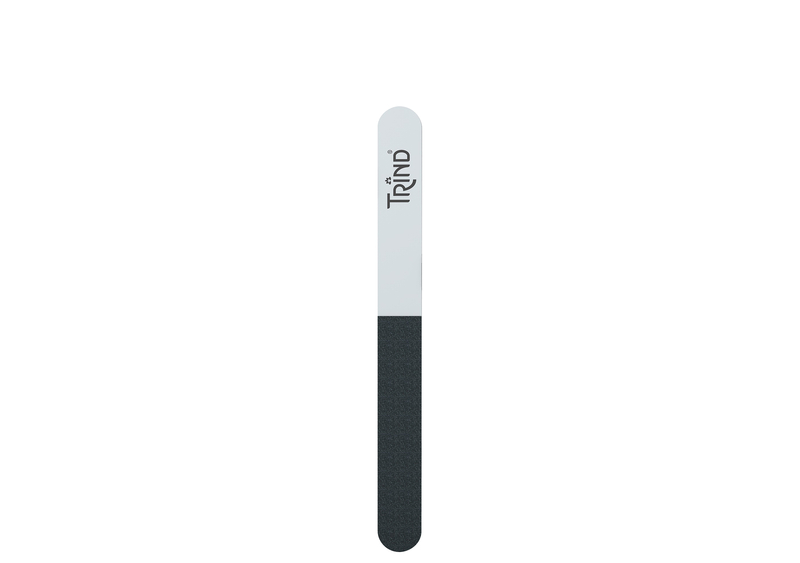 TRIND Nail Magic Buffer is a file that smoothes the nail surface. It removes small ridges and uneven nail, leaving you with smooth and shiny nails. When using the buffer make semicircular movements. Start with the black side to remove the top layer of the nail (use this side only once every 4 weeks). Then use the white side twice every month to smooth the nail. Lastly, use the grey side of the buffer (as often as you like) in the same manner for extra shiny perfection.